This self-published book came out on the 21st January 2019 and is available through Amazon. 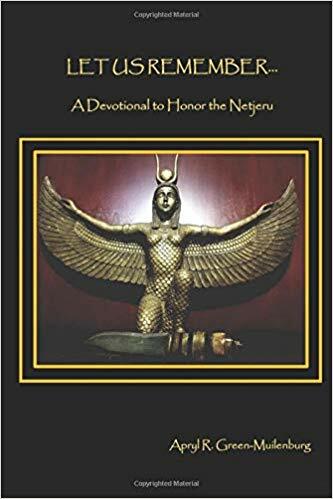 As the book description states, Let Us Remember…A Devotional to Honor the Netjeru is a collection of hymns and prayers for use in ritual, invoking the *Netjeru as well as in devotional work to the Netjeru. 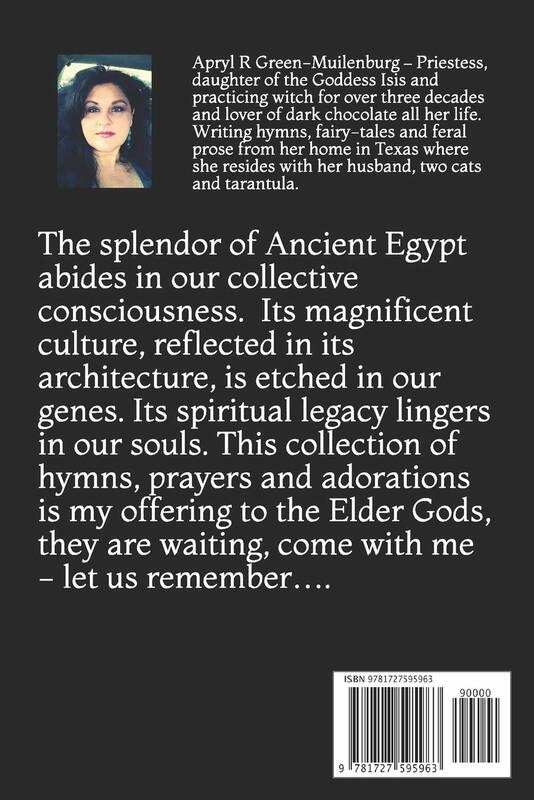 I originally discovered the author’s poetry through her Facebook posts and her blog (https://theferalgoddess.wordpress.com) where she writes evocative prose in honour of the Egyptian Gods as part of her regular devotion. I was always eager to have these poems in one collection as I always found them so ethereally evocative and I am glad it’s come to pass. Written by a modern practitioner and a devotional act within itself, this book is filled with beautiful prose and is a heartfelt offering. The poetry can be used in your spellwork, rituals and meditations to the Ancient Egyptian Gods or it can simply be used for the enjoyment of the prose. Designed by Apryl herself, the front cover of the book shows an image of Isis, Queen of Magic and this depiction is perfect for the representation of the book, as it perfectly encapsulates the essence of this devotional. Words are heka, and heka is magic in the Ancient Egyptian tradition and this book is a creation of magic in itself. Apryl R. Green-Muilenburg’s qualifications in the tradition she writes about is impressive and solid. Devotee and daughter of the Goddess Isis all her adult life, she is a Practicing Kemetic Witch, and Initiated Wiccan Priestess in the Isian Tradition, a Remetj in the House of Netjer and member of the Fellowship of Isis (FOI). Apryl has been writing since she was a pre-teen, with previously published works in two anthologies honoring the Goddess Isis and Goddess Sekhmet respectively. She has a blog https://thescarlettedda.wordpress.com where she publishes her short stories written with a fairy tale twist based on personal life experiences as well as her feral prose at https://theferalgoddess.wordpress.com She also has a Masters in Social Work from the University of Texas at Arlington and is an advocate for vulnerable populations, with a focus on our older adults. As Apryl has stated, she strives to bring a positive perspective to death and dying; emphasizing ancestor veneration/workings in her mundane and spiritual life. With this in mind it makes this piece of work an artist’s vessel for illumination and connection to spirit. When I received my copy of the book I was impressed by Apryl’s love of the gods which shone through the page like stars from the vaults of heaven. So much so that I have taken to leaving it in my shrine so I can access it easily and use it when I am before both my ancestors and Gods in spiritual communion. The quality of the book is exceptional and would make a perfect addition to any practitioner’s library, from anyone who is only briefly aware of the Ancient Egyptian Gods to those who are seasoned practitioners. *Netjeru = Ancient Egyptian Gods in Kemetic. 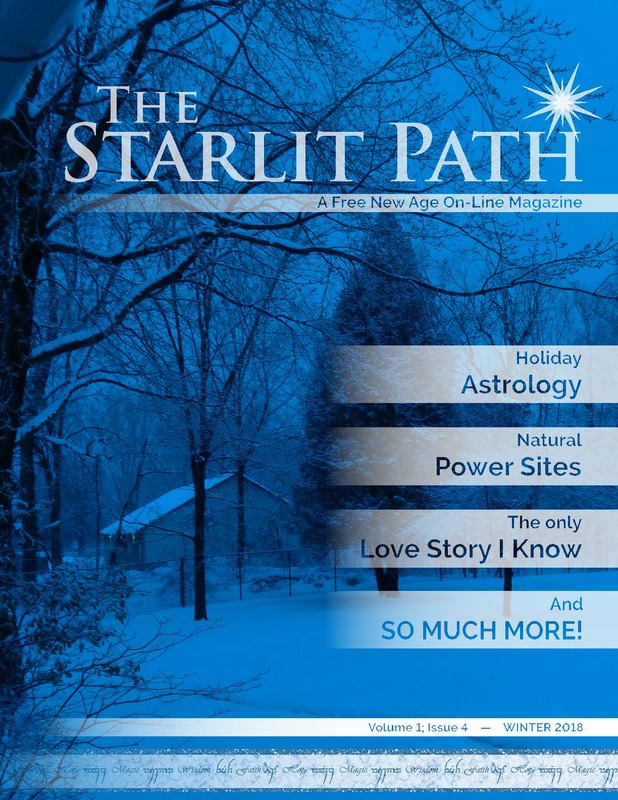 In this issue, for my column Walking With the Goddess, I share a poem I wrote to my patron Hekate as her devotee and avid herbalist called, “Hekate’s Herbalist”. 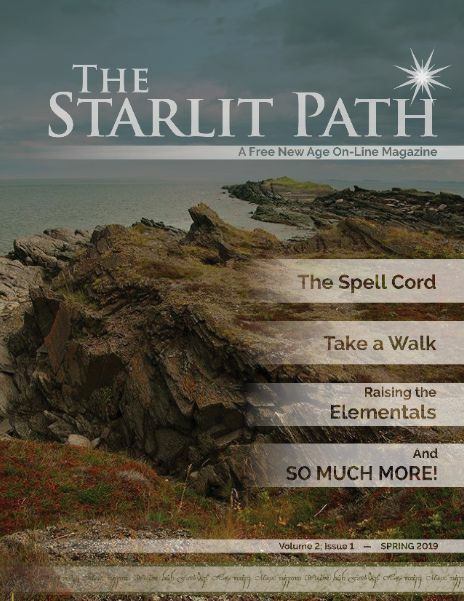 There are also some wonderful articles in this issue, including a Cord Spell, The Spell Cord and Meditation: Purification by Flame, which is very Hekate-centric in my opinion and a great addition to one’s practice to the Goddess. My new column Walking With the Goddess is series of regular articles building on devotional practice from the ground up. Magick is an international Magickal, Occult and Esoteric magazine. I have contributed to the latest issue called MAGICK 8 and my article is called “The Purification of Autumn”. Its about growing up in a Hellenic/Folk Witch environment and the observation of Autumn along with a Fire Ritual to Hestia which has roots in an Ancient Greek Harvest Festival, and which continues to be celebrated to this day in my mother’s rural village in Greece. Linda Iles has produced a great issue this season of the Fellowship of Isis zine which is a free magazine with members contributing from all around the world. This issue marks our tenth anniversary of presenting Isian News, as requested by FOI Co-Founder Olivia Robertson in December of 2008. 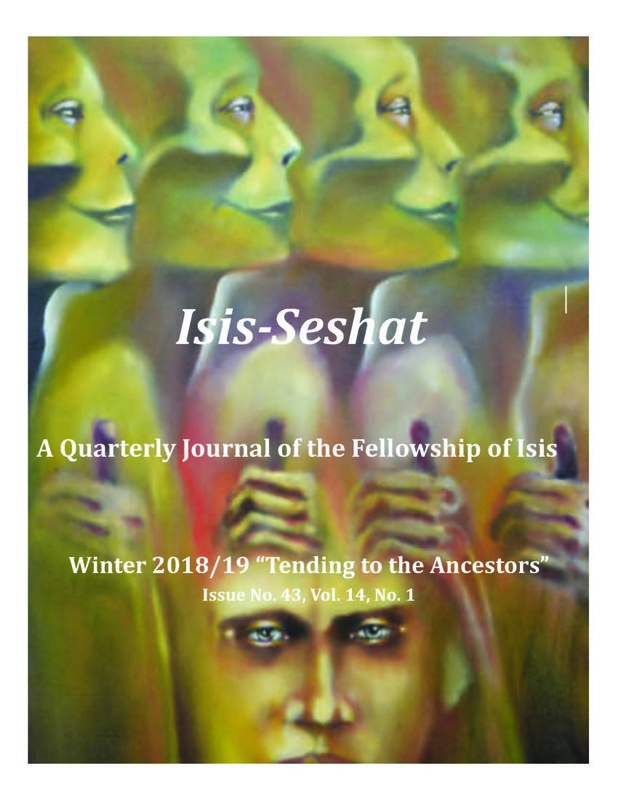 The Fellowship of Isis quarterly journal, Isis Seshat Winter issue has just been released and contains contributions from members all around the world. Cant wait to get a hold on this amazing new book book – Let Us Remember: A Devotional to Honor the Egyptian Netjeru. This book contains a collection of hymns and prayers for use in ritual, invoking the Netjeru as well as in devotional work to the Netjeru. I have been reading Apryl’s work for years and its finally in a collection! Let Us Remember: A Devotional to Honor the Egyptian Netjeru. The Lunar Eclipse is happening during the Full Moon in Leo between the 20-21st January 2019. Eclipse magick is when the energy is amplified due to the moon energies intermingling. 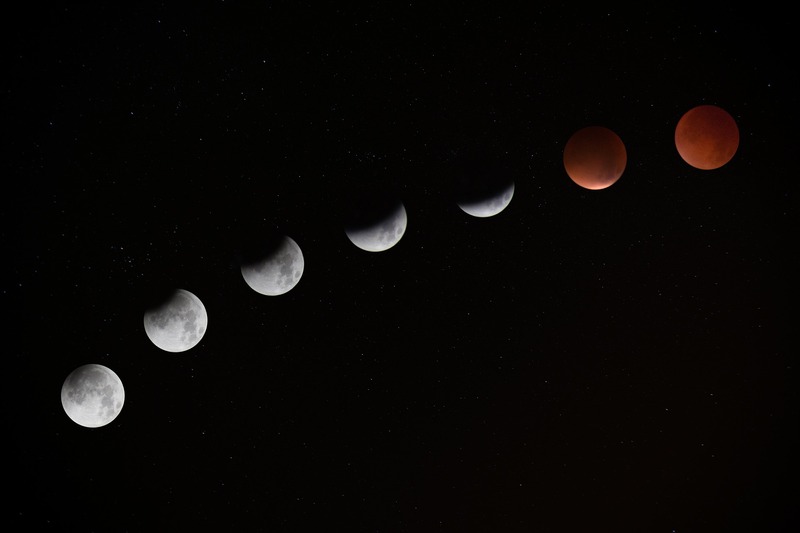 The Lunar Eclipse energies transition through the new and full moon phases during the eclipse, which enables the moon to cycle through the various stages of the moon and its magick. Liminal – magick worked between the darkness and the light. Manifestation – setting goals, intentions and affirmations. 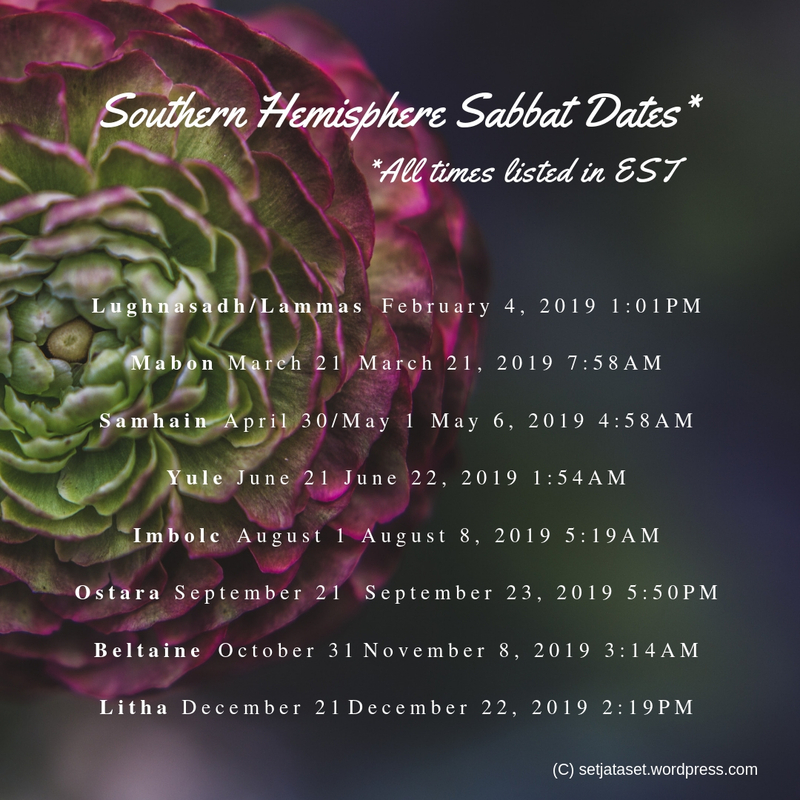 Breaking – curses, bad habits, bad relationships and connections. Transformation – self/surroundings, spellwork and health encompassing all aspects of oneself (body/mind/spirit and emotion). Devotion – to lunar or liminal Gods and Goddess. Focus – personal and spiritual development along with illumination and psychic work (divination and magickal goals). Charge any of your magickal items under the eclipse, which can then be used, when there is no eclipse to bring in those energies. Devoted I am to you during moment opportune. I ask you come down to bring me my boon. Specific magickal workings need to be conducted on specific moon phases*.